Judas Priest are easily one of the greatest metal bands of all time. These guys were a huge influence on the new wave of british heavy metal and metal in general. They have many great albums but my favorite is this one. Released in '78, this was right before they hit it big. Overall, I feel this is their best combination of great metal and pop sensibility. (Although British Steel is insanely close behind) You've got great rockers like "Delivering The Goods" and "Killing Machine," but you've also got great pop injected tunes like "Evening Star" and "Take On The World". The latter is so damn catchy it's unbelieveable. My dad used to play the "Hellbent" cassette in the truck when I was younger and I always remember loving this song. Judas Priest also do a great ballad on this record too, in "Before The Dawn" along with a great Fleetwood Mac cover, "The Green Manalishi." 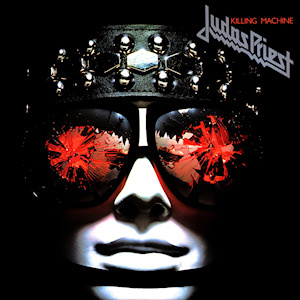 Judas Priest show great variety in thier songwriting along with an amazing pop sensibility (which would come to fruition on British Steel, Screaming, and Turbo) which is why this is one of my favorite albums of all time. I loved it when I was 5 and I still love it now. A big thanks to my dad for playing this (along with other great music) to death when I was little. Also, a big thanks to him for bringing me to see Priest live on thier 30th anniversay tour of British Steel. It was a great show and Halford can still scream like no other. This is another one of those albums where it is hard to put into words why it is so great. This is also one of those "Abbey Road" type albums. What I mean by that is that its an album that should always be listened to as a whole. Listening to this album as a whole is one of the most amazing aural experiences I think you could have. It's certainly not a happy one though. This is a very dank, dark, derpessing album. I thought I knew bleak when I heard Alice In Chains' self-titled album, but this takes it to another level. This isn't like a "melancholy" type of sadness either. It's just pure "depressed" sadness. If you take one of The Cure's dark albums and multiply the depression by about three, you'd get this. But don't let my talk of how depressing this is put you off of listening to it. While it's not party music, it is otherworldly. Once you let this album evelope you in it's dark world, there isn't much else quite like it. Cleverly enough, the album starts off with the catchiest song it has got with "Disorder." After that, the album's songs will take multiple listenes before you can fully absorb them. Every song is strong though and all lend a hand in making this one of the greatest albums ever released. If you haven't heard this one, do yourself a favor and go out there and get it. Talk about an album with a lasting impact! This is, for me, one of the most important albums ever made. This showed me that there was more than just grunge, nu metal, and stadium rock. It was the summer before my freshman year, and I was thinking about "buying" a CD. (The reason I quote is because before that, I just had my friends illegally download stuff and burn me copies) I remember hearing the name "Oasis" from many people with many of them calling them the "biggest Beatles wannabe band ever." Back then I didn't want to get into the Beatles because, to keep a long story short, I was ignorant. 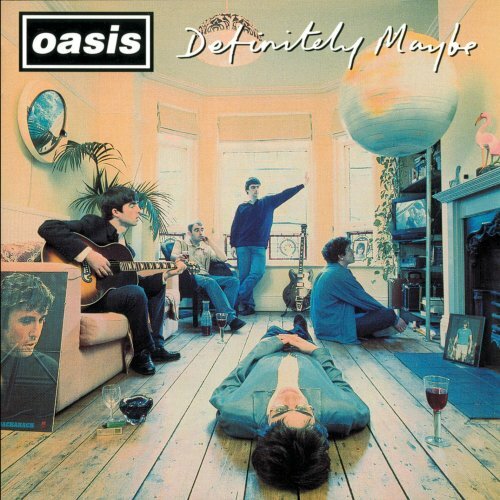 So I settled on Oasis and I decided to get "Definitely Maybe" because I had heard "Supersonic" on the radio. It was a little over 3 bucks used. (3 of the greatest dollars I've ever spent) So when it finally arrived, I opened it and listened to it. Upon first listen, I wasn't sure what I thought about it, but I had about 40 minutes at the end of every school day because I sat in my Mom's car waiting for her to get out of work. So, I listened to this again and again. (and again and again) I listened to this album so many times it was scary. This album began my 4 - 6 month long Oasis phase/obsession. Alright, enough of that. I'm not here to write a love story about me and this album, I'm here to tell you why it's great. The album opens with "Rock N' Roll Star", a great tune about Noel's dreams to be a rock star. "Shakermaker" follows and leads into one of the best Oasis tunes, "Live Forever." This is one of those songs everyone can (and does) love. Other very strong songs include the strong rockers "Columbia", "Supersonic", and "Cigarettes and Alcohol." (even though it's a complete rip off of a famout T-Rex song) The album closes with a quite accoustic number titled "Married With Children". This is the top Oasis album, no question. It perfectly captures that feeling of a middle class man longing to be a rockstar. Oasis were driven here, and as a result, made the greatest britpop album. and one of the greatest albums of all time. I could sit here all day and talk about this album's influence or importance, the rivalry with Blur, or the Gallagher rivalry itself, but I'll end this here. There are 4 Oasis albums worth getting but there is only one Oasis album that deserves to be in any respectable album collection, and that my friends is "Definitely Maybe."